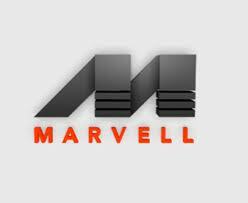 Company Name: Marvell Technology Group Ltd.
# Define test cases, create and execute test plans for protocol validation using Bluetooth specification 2.1 + EDR (enhanced data rate), BLE and IEEE 802.15.2 coexistence and security. # Knowledge and understanding wired and wireless communications, Bluetooth modulation and frequency hopping processes, Bluetooth packet structure, error control options and the role of a Bluetooth profile. # In depth knowledge and understanding of Bluetooth protocol analyzer to pin-point and isolate problems. # Able to work independently and guide team members technically. # Good interpersonal and organizational skills. # Good written and communication skills. # Bachelor/Master degree in ECE(Electronics and Communication Engineering) or CSE ( Computer Science and Engineering) or equivalent degrees. Masters degree is preferred. # Good academic records records. # 0-2 years of Bluetooth QA experience.